Our family loves to make smoothies any chance we can get. I am like any other mom and I try to make sure there are healthy options around for my kids to snack on. When Williams-Sonoma asked me to participate in Smoothie Week, I knew I would not have a problem coming up with a recipe to share. I will not lie when I say my kids would much rather grab something that is "not so healthy" to snack on. I try to offset the bad with the good when I can. My husband and kids are big fans of blueberries so I know when I use them they are more likely to at least give it a try. When blueberries are not in season I like to buy the frozen bagged berries. These are usually picked in season and froze at their peak. 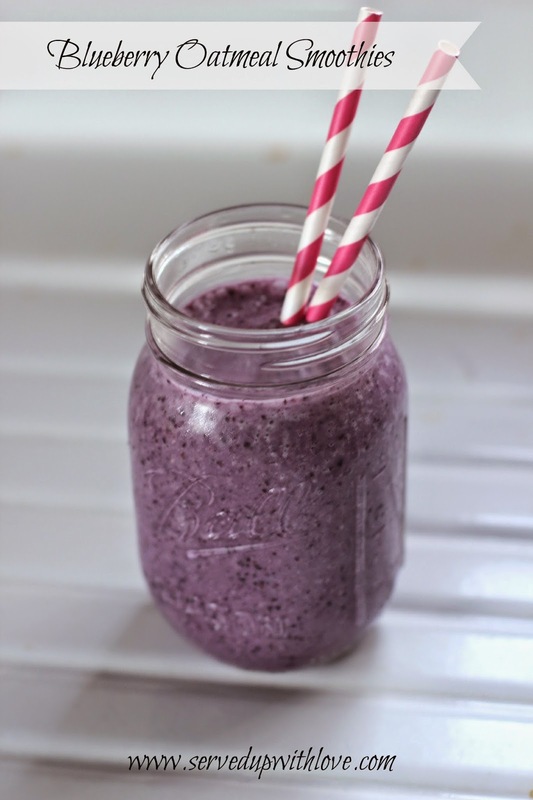 This makes it super easy to whip up a smoothie anytime. The frozen berries also keep the smoothie nice and chilled without the use of any ice, which we never seem to have. Does anyone else have that problem, or is it just me? I like to throw all kinds of things into my smoothies. If I have a banana, it goes in. If there is orange juice in the house, that goes in too. The more fruits I have the better and the more likely my kids will drink it up. 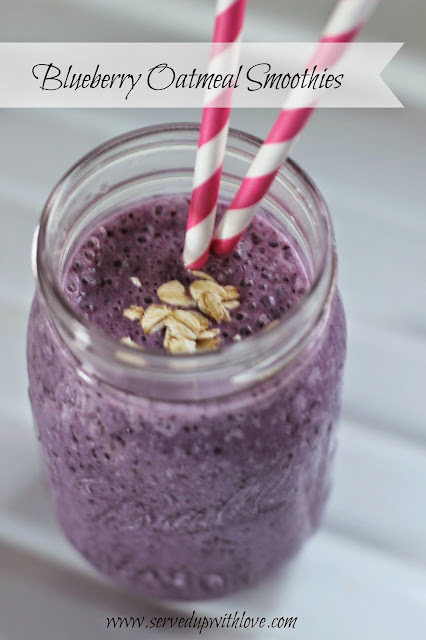 To give this smoothie just a little extra nutrients, I added some oatmeal to the mix. I ground them up in the blender before adding any other ingredient to get the oatmeal really fine. It adds a little texture but my kids did not seem to mind at all. I am a firm believer in using what you have available. Most of the time the items I use in the smoothies are already staple ingredients I like to keep around. During the winter months I try to make sure we have more orange juice around to help with the intake of Vitamin C to ward of any of those nasty bugs. Milk is always in the fridge and I buy yogurt on a regular basis. We love fruit and berries so I try to have a variety to choose from in the freezer. A great addition would also be to add a little spinach or kale to the mix. The kids would never know they were in there. I know that would make plenty of moms happy, including this one. Ground oatmeal in the blender until fine. Combine the remaining ingredients and blend. Serve immediately. Check out Williams-Sonoma's website for many great recipes. 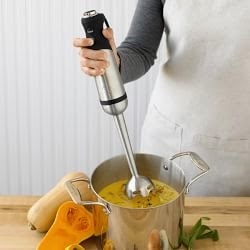 My mixer is one I bought on clearance at a big box store but I am really eyeing this immersion blender. My Mom has an immersion blender and I love using it. I could find all kinds of uses for it. Hint to the hubby.....my birthday is next month!